Meadow Mountain Tubing Hill offers tubing runs at a lower price with fewer crowds than Vail’s Adventure Ridge ($22 an hour, including tube and lift; opens mid-Dec; on U.S. 24 south of Minturn; 970/827-4155). 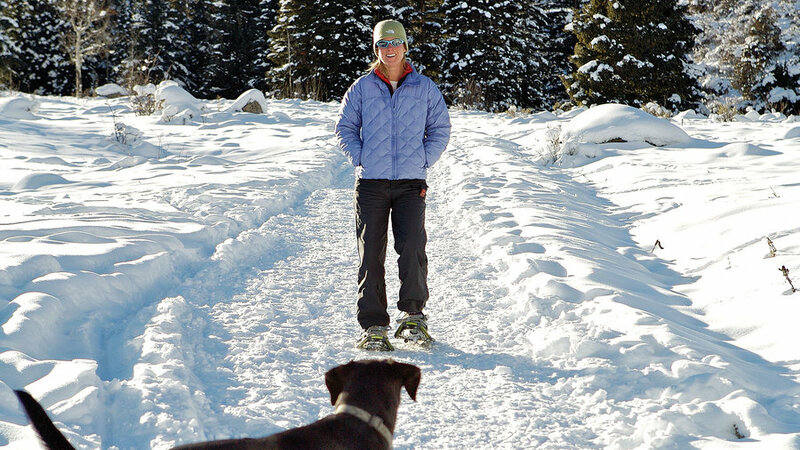 For less adrenaline and more exertion, snow- shoe up the nearby moderate 4.5-mile Meadow Mountain Trail (above); park at (24747 U.S. 24). 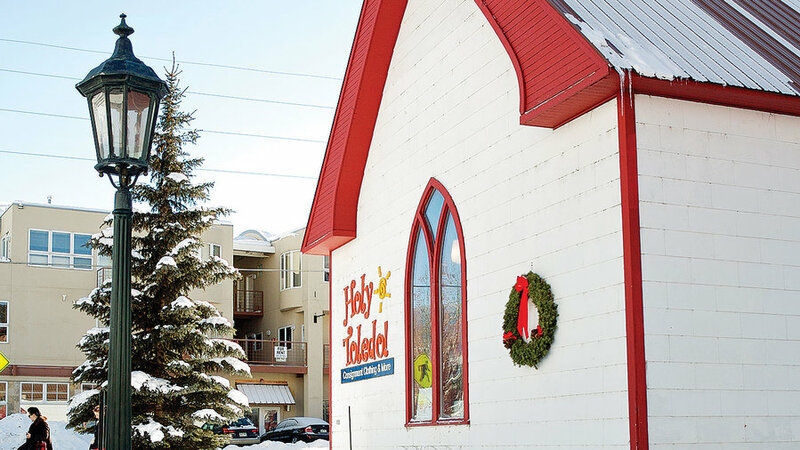 Get designer labels at Holy Toledo, a consignment shop in a restored church; Armani, Versace, and Kate Spade items are a bargain at $25 and up―you can even get a secondhand fur (corner of Toledo St. and Main; 970/827-4299). Holy Toledo 2, three doors down, carries brand-new boutique clothing, samples, and overstock at half off retail (155 S. Main; 970/827-5288). 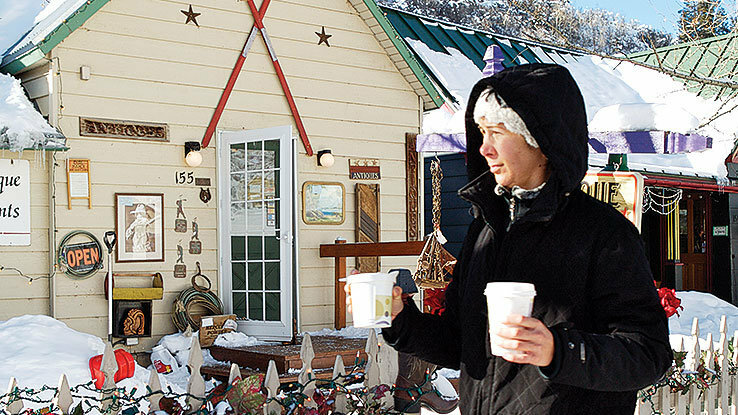 Try a predinner drink at Minturn Cellars, serving hot spiced wine and flights of Colorado varietals in a rustic little tasting room (closed Sun; $4 tasting fee; 107 Williams; 970/827-4065). Then head to the Turn-table restaurant (on the site of the former railroad turntable) for the best green chili around and a toy train set that makes its way around the ceiling ($; 160 Railroad Ave.; 970/827-4164). Even in high season, rooms at the log cabin are a deal compared with Vail hotels, and include a full hot breakfast―so you might as well stick around. 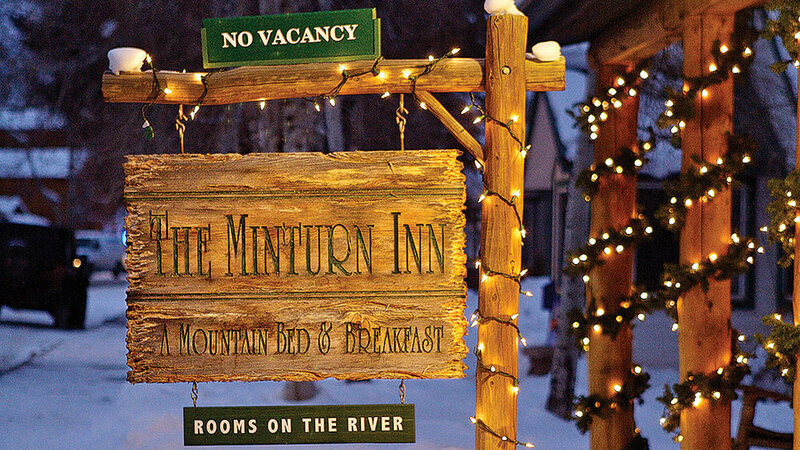 Ask for a room in the inn’s timber-frame River Lodge and fall asleep to the sounds of the rushing Eagle River. From $99.